Designed with you in mind, the REALTOR Benefits® Program is your official member benefits resource, bringing you savings and unique offers on products and services just for REALTORS®. Program Partners are carefully selected, so you can be assured they understand the unique needs of real estate professionals and are committed to your success. Whether for your professional or personal needs, make www.nar.realtor/RealtorBenefits the first place you stop when you shop. See an alphabetical list of all REALTOR Benefits® Program partners. The REALTOR Benefits® Program updates its catalog twice a year. 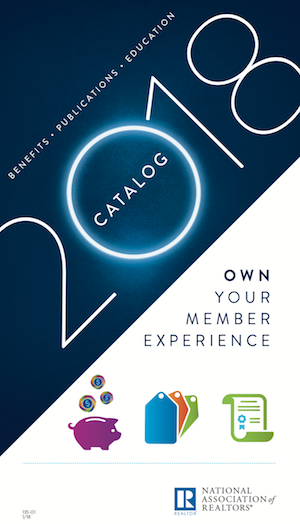 It showcases all the companies offering discounts and benefits to NAR members and complete details on how to begin taking advantage of their unique offer or service. Download or print the catalog today. Be sure to check the REALTOR Benefits® Program homepage often for the most current information, including special offers and new partners. Make sure you’re the first to know about the latest REALTOR Benefits® Program news. Sign-up for and customize NAR's Member's Edge and have news delivered to your inbox, like us on Facebook, or follow us on Twitter. Meet directly with the partners and the REALTOR Benefits® team at the annual REALTORS® Conference & Expo or REALTORS® Legislative Meetings & Trade Expo. Companies seeking information on becoming a REALTOR Benefits® Program partner should visit this page. If you have questions about offers from the REALTOR Benefits® Program, please call our helpline at 800-627-5233. Our team is available to help Monday-Friday from 8:30 a.m. to 5 p.m. Central. Note that questions about your NRDS number, realtor.com®, or NAR in general should be directed to Member Support at 800-874-6500.